Experience the Beauty products LSW curated for you. They are all remarkable for a reason: effectiveness, design, innovative and beauty-full. The LSW Beautique covers the fields of: Beauticare, Nutricosmetics, Nutraceuticals, Designers, Hair Jewelry, Jewelry and have a specific focus on Travelers. LSW is proud to introduce to you a new range of products exclusively for your eyes’ wellness: Skinny Eyes is now available on the LSW Beautique. 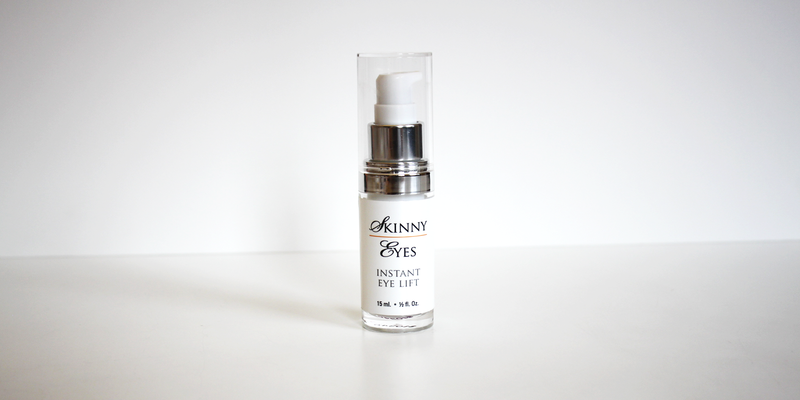 The exclusive Skinny Eyes products target the overall appearance of the eyes and its surrounding areas. Dedicated to using only the finest clinically tested and proven treatments, ingredients, and tools; Skinny Eyes market patented technologies have revolutionized the war against time making Skinny Eyes the science behind the beauty. Skinny Eyes develops therapeutic treatments and products designed to significantly reduce wrinkles, fine lines, dark circles and puffiness around and under the eyes. Shakespeare famously noted that the eyes are the windows to the soul. They tell a story to the people you meet and can reveal a lot about you such as age, vitality, happiness, stress levels, and overall wellness. First impressions are something you cannot get back and in today’s changing economy there is little room for error. Whether it is landing your dream job, impressing new clients or even catching the favor of that certain someone, you only get one chance to make that first impression. With over 60 years of formulating experience in their current product line, Skinny Eyes has developed a new technology that will change the future of the cosmetic industry. After formulating cutting edge techniques Skinny Eyes has harnessed the power of energy and scientific findings to shape the future of beauty and more importantly to provide real and lasting results. 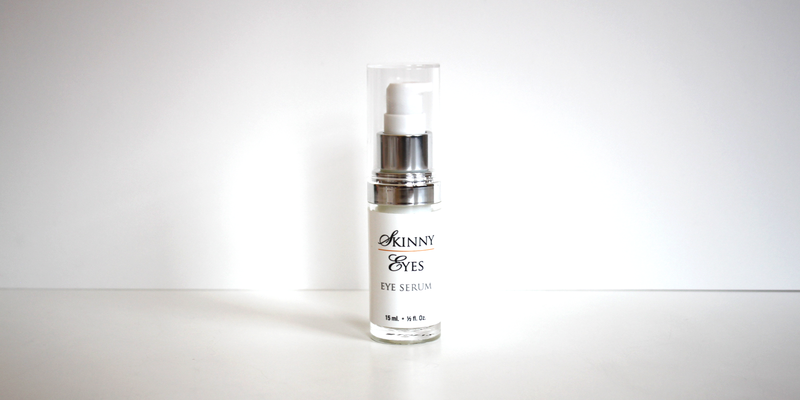 With an unsurpassed commitment to research and development, Skinny Eyes has poured its resources in to premium products that generate extraordinary results in minimal time. 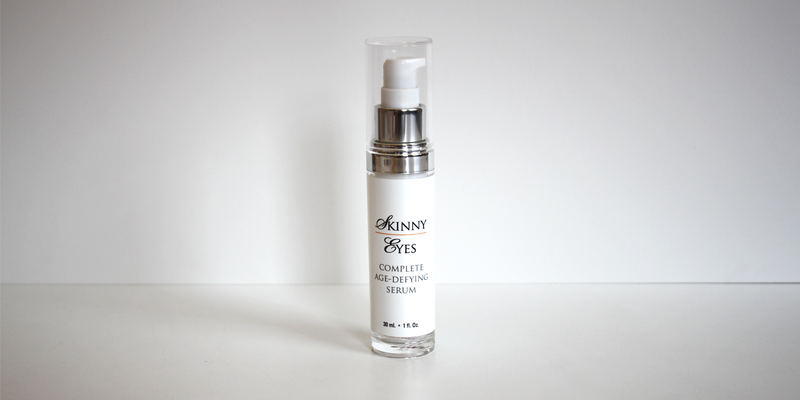 For an ultimate result, Skinny Eyes has developed a full product line composed of a wand, and 3 serums to fit the most your needs. 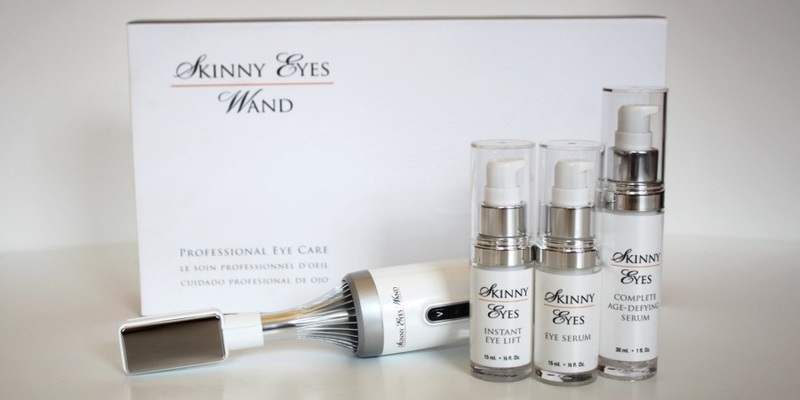 Skinny Eyes Wand is a Hot-Cold Therapy which utilizes therapeutic to refresh, awaken and revitalize your eyes. Skinny Eyes patented Hot-Cold therapy will eliminate the need for prepping, freezing spoons or soaking tea bags. Skinny Eyes Wand will refresh your eyes bringing back vitality, radiance, wellness, and youth all in about 90 seconds! No longer will you have to spend countless hours trying to hide your tired, dark, puffy looking eyes. Skinny Eyes Wand Therapy deploys 4 actions: Diminution of puffy eyes, Improvement of blood circulation, Wrinkle Improvement, Dark Circle Reduction. The Skinny Eyes Wand is composed of the gold plating for the warm, and the platinum plating for the cold. It also offers a vibration mode for ultimate relaxation of the eyes.